The turkey has taken over the oven and is blocking traffic. Ah yah... I need a nap! 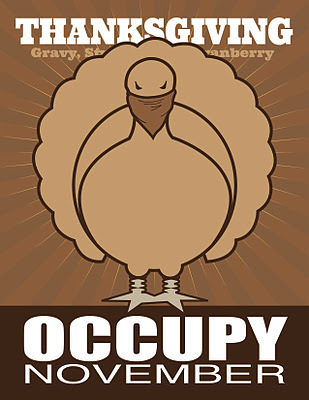 All kidding aside, if you're celebrating today, have a wonderful Thanksgiving! Since we're having an early lunch, I did as much prep as I could last night. It really helped keep the anxiety down and now I can enjoy the day and focus on the best part of Thanksgiving-- spending precious time with my favorite people.